Hello ... Hello ... my old friends ... It's great to see you once again! 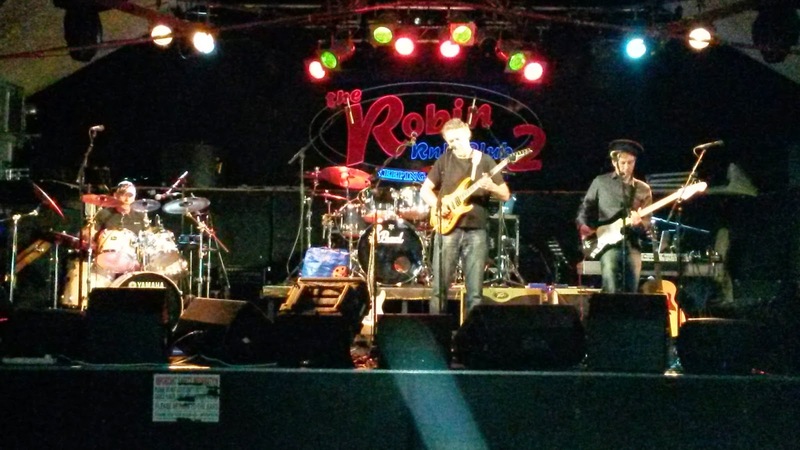 The Abbey Road Experience made their debut at The Robin 2 last night [Sunday 27th April] with yet another classy performance of [most of] The Beatles' seminal 1969 album "Abbey Road" followed by a storming second set with a mixture of hits and album tracks by The Fab Four. 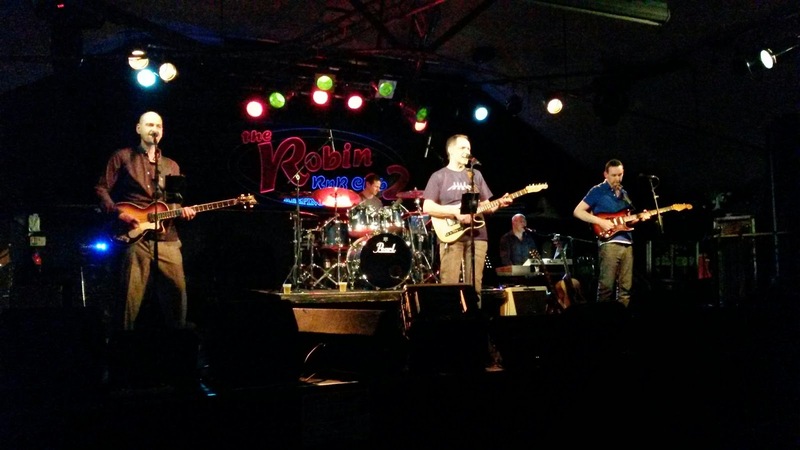 First up were Wolverhampton based trio The Captains Hat, who delivered an impressive and entertaining set of covers of songs by the likes of ZZ Top, The Eagles and Queen amongst not a few others. Believe it or not, my fave song of theirs on the night was their great rendition of "Valerie". In a slightly abridged first set that excluded "I Want You [She's So Heavy]" due to time constraints, the band [who were co-founded by former Trickster, ELO Part II and Orchestra member Phil Bates] again reproduced an album live - which many consider to be The Beatles' finest - to such a degree of accuracy that the watching audience were in absolute admiration of their craft. Their second set included not only the familiar with the likes of "Help! ", "While My Guitar Gently Weeps", "Don't Let Me Down", "Drive My Car", "Lady Madonna", "Get Back", "Let It Be" and "Hey Jude" but also selected album tracks including "Fixing A Hole", "And Your Bird Can Sing" and "Taxman". ELO Beatles Forever [ELOBF] recommends The Abbey Road Experience to those enlightened folks who also like ELO, Jeff Lynne, Roy Wood, The Idle Race, The Move, 'Brum Beat', The Beatles and related artistes.